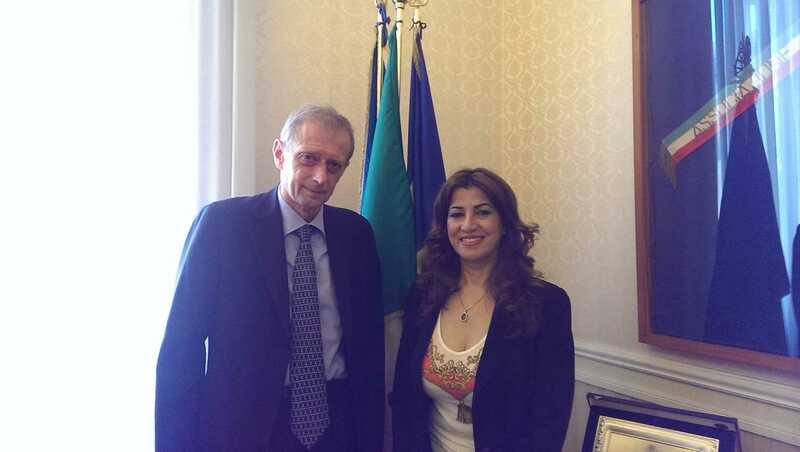 Today, Mrs. Rezan Kader met the President of ANCI (National Association of Italian Municipalities) and Mayor of Turin, Piero Fassino at the ANCI headquarters in Rome. The talks focused on the situation in the Kurdistan Region, the recent attack on the city of Palmira, taken by the militia of ISIS and the plan to recapture of Mosul under the guidance of the international coalition and the participation of the Government of Iraq. The Pres. Fassino expressed his deepest understanding to the Kurdish people and the Kurdistan Regional Government, proposing to Mrs. Kader a series of interventions that the Piedmont Region could carry on supporting the Kurdistan Region. In particular, the Pres. Fassino proposed to draw up a humanitarian cooperation agreement, in which the health institutions in Piedmont can offer Kurdish peshmerga the necessary care, rehabilitation activities, but also provide all necessary assistance for children. Moreover, such an agreement could cover more areas of mutual collaboration, about the cultural, archaeological and economic sectors. In this regard, Mrs. Kader called on Pres. Fassino to visit the Kurdistan Region with a delegation from the Piedmont Region in order to learn more about the area and to explore all available opportunities for mutual collaboration.